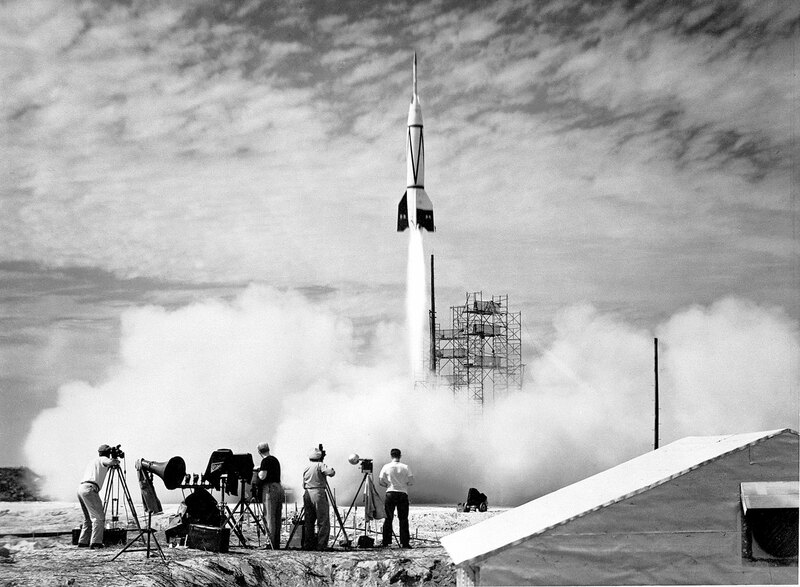 A Bumper rocket soars above Cape Canaveral Air Force Station, in what was the first ever launch from the spaceport. The government may have ceded the development of spaceships to companies, but Cape Canaveral Air Force Station remains a key site for space exploration. Together with the neighboring Kennedy Space Center, Cape Canaveral played an integral part in the space race, and continues to host launches to this day. The site, situated on the east coast of Florida, saw its first rocket launch 66 years ago this week, and over the past six decades, it's hosted many, many more, from the launch of Explorer 1, the first US satellite, right up to SpaceX's Falcon 9 launches over the past six years. One thing it didn't host was the Apollo program itself -- those launches were at Kennedy Space Center. Nonetheless, events like the moon landing, whose anniversary falls today, would've been impossible without the tests carried out at Cape Canavarel. It was the launch of Saturn I from the Air Force Station that paved the way for the Saturn V rocket which sent Apollo 11 to the moon. Various launch complexes are still in use, some leased to BlueOrigin, SpaceX and other companies. But it all began on July 24th, 1950, with the launch of the Bumper 8. NASA didn't yet exist -- the General Electric Company had responsibility for the project. After six failed tests at White Sands, New Mexico, the decision was taken (for unrelated reasons) to move the program's launches to Cape Canaveral, then named the "Long Range Proving Ground Base." The first test was a success, and it paved the way for countless others.